Many blogs at this time of year seek to predict the year ahead, and many of them foresee more data breaches and security incidents in 2017. But I’m a great believer that the best way to predict the future is to create or change it yourself. So if you want to reduce the chances of your assessment data security being breached in 2017, make some of the things you’ve talked about happen. 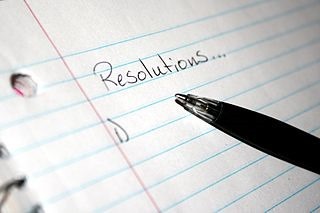 Here are some possible New Year’s resolutions that could help keep your assessments safe and secure. 1. Audit your user accounts. Go through each of your systems that hold or give access to assessment data, and check there are no accounts for ex-employees or ex-contractors. Make sure there are no generic or test accounts that do not belong to a current individual. Dormant accounts like this are a common route to a breach. Also check that no one who has changed role has the privileges of their old role. 2. Run an incident response table-top practice exercise. This is a session where you gather together those responsible for security, pretend there is a breach or other incident and work through verbally how you’d deal with it as a team. You can do this in a couple of hours with good preparation, and it allows you to check your procedures and ensure people know what to do. It will often give useful insight into improving your preparedness. As Benjamin Franklin once said “An ounce of prevention is worth a pound of cure”. 3. Start testing your personnel on security procedures. One of the biggest security risks for any organization is staff mistakes and accidents that compromise credentials or data. Security awareness training makes an important difference. And if you test your personnel on security after the training, you verify that people understand the training and you identify areas of weakness. This makes it more likely that your personnel become more aware and follow better security practices. If you have access to an online assessment tool like Questionmark, it’s very, very easy to do. 4. Review some of your key vendors. A risk for most organizations is weaknesses in suppliers or subcontractors that have access to your data. Ask suppliers to share information on their technical and organizational measures for security and what they are doing to ensure that your data is not breached. Any reputable organization will be willing and able to provide this under NDA. See 24 midsummer questions to ask your assessment software provider on this blog for some of the questions you can ask. 5. Conduct a restore test from backups. How do you know your backups work? Over the years, I’ve come across a few organizations and teams who’ve lost their data because their backups didn’t work. The only way to be sure is to test restoring it from backup and check data is there. If you don’t already run restore tests, organize a restore test in 2017 (ideally once a quarter, but once is better than not at all). You shouldn’t need to do this if you use a cloud service like Questionmark OnDemand as the vendor should do it for you. 6. 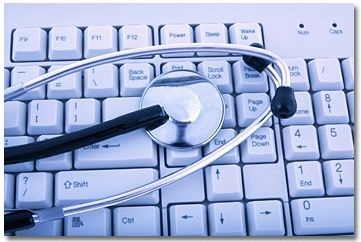 Run a pilot for online proctoring. Microsoft do it. SAP do it. Why shouldn’t you do it? If you run a certification program that uses physical test centers, consider whether online proctoring might work for you. Not only will it reduce the risk of collusion with proctors helping candidates cheat, but it will also be a huge boon to your candidates who will no longer need to travel to test centers. 7. Put in place a code of conduct for your participants. This is a simple thing to do and can make a big difference in reducing cheating by encouraging test-takers to stay honest. 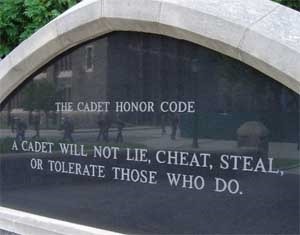 See Candidate Agreements: Establishing honor codes for test takers and What is the best way to reduce cheating? on this blog for tips on how and why to do this. 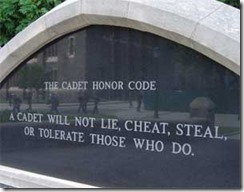 If you are looking for inspiration, at famous code of conduct is that of the U.S. Army West Point Military Academy which simply says: “A cadet will not lie, cheat, steal, or tolerate those who do.” Of course you need to communicate and get buy-in for your code of conduct, but if you do, it can be very effective. Many of you will already be doing all of these things, but if you’re not, I hope one or more of these resolutions help you improve your assessment security in 2017. And here’s a bonus New Year’s resolution to consider. Questionmark Information Security Officer David Hunt and I are giving a session on Staying Ahead of Evolving Security Threats at the Questionmark conference in March in Santa Fe. Make a New Year’s resolution to come to the conference, and learn about security and assessment!